look! our very first egg! 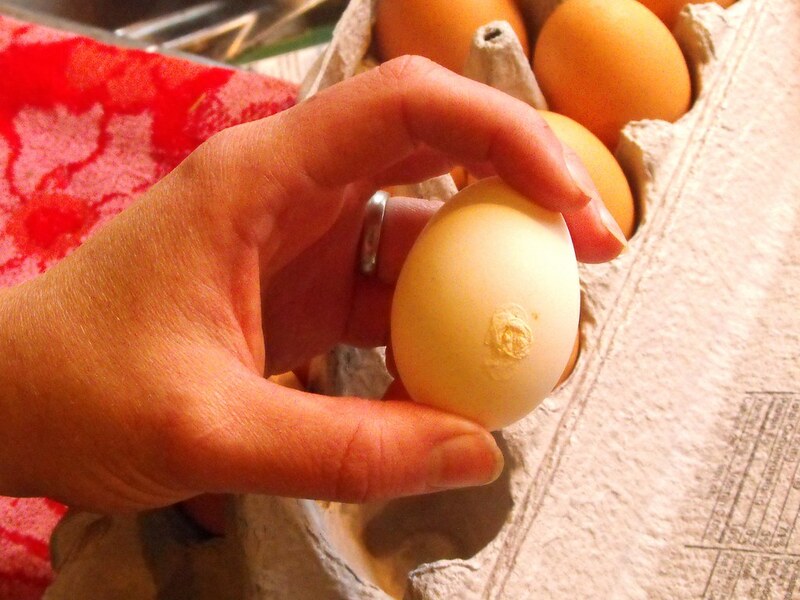 the white chicken has graced us with our very first homegrown egg. we thought it might be another month or two, but we're ever so pleased to have eggs laid in our own backyard already! yum! and this morning, just look! 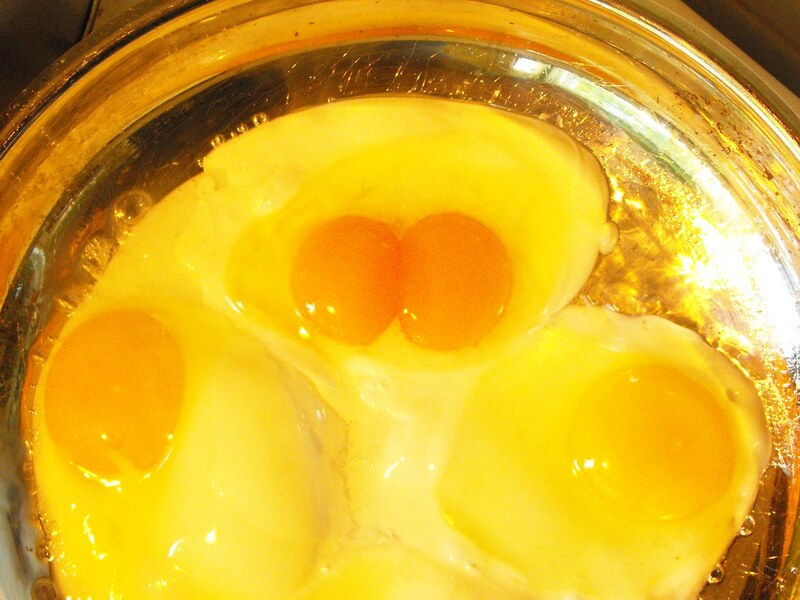 a double yolk! those other eggs are store-bought 'organic' brown eggs. i can't help but complain about picture quality here, because the color is so wonky you can't really see how dark the yolks are compared to the others. and don't worry, the whites are actually white (as is the shell in the first photo), but all the color-correction in the world wouldn't whiten them. you'll have to take my word for it. we had received an egg every day up until yesterday, then boom - a double yolk the next day. we've taken to calling them 'magic' eggs. it is very thrilling indeed. edited to add (monday morning): huzzah! the other hen is a-laying now too! a brown egg this morning! p.s. both photos by marc.